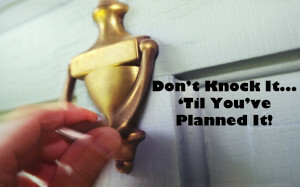 Victory Enterprises > Blog > 4 Mistakes Political Candidates Should Avoid When Door Knocking. 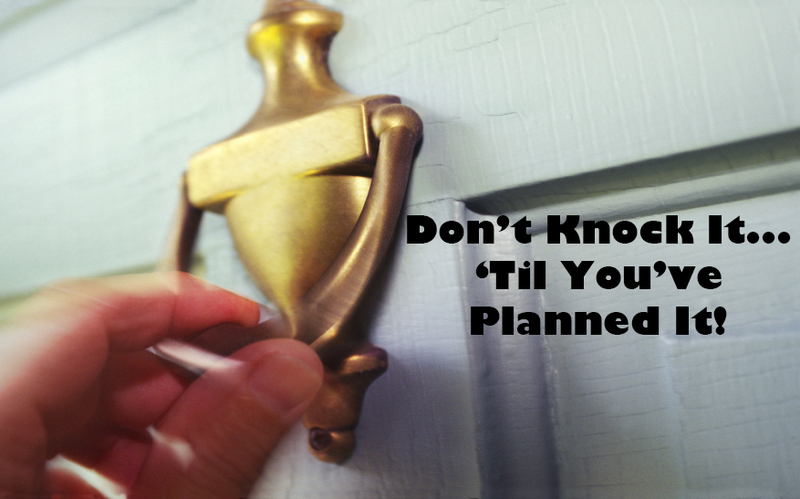 Effective door knocking is the best grassroots mobilization tool for a campaign. Grassroots organization and mobilization can be the deciding factor in any election, from dog- catcher to President. In fact, there’s pretty strong evidence that President Obama’s massive grassroots advantage played a large role in his historically unlikely re-election campaign. However, as a rule of thumb, the smaller the race the greater the impact grassroots will have. Smaller races, where fewer voters participate, tend to have fewer resources and receive less media attention. This means that voters in these races usually don’t have a lot of information, or preconceived notions, about the race. So, direct personal contact from political candidates and campaigns can often determine their preference in the voting booth. A strong ground game can, in certain situations, help political candidates overcome financial and name-ID disadvantages. Plus, a strong early grassroots effort can help inoculate political candidates from eventual mudslinging, as voters are less likely to believe negative information about a candidate with whom they’ve had a positive personal interaction. That’s where grassroots mobilization comes in. The “King of Grassroots” is, and always will be, door knocking. Door knocking efforts, where the political candidates and campaign staff actually walk up and knock on the doors of voters, provide unique opportunities for one-on-one contact with the campaign that advertisements, direct mail and large events simply can’t match. But it takes a lot of hard work to do door knocking correctly. It’s a shame that so many political campaigns waste the hard work of their staff and volunteers by making these 4 common door knocking mistakes. 1. They Knock Every Door: It’s amazing that in this day and age, where campaigns have access to so much quality data on voters, that some campaigns still go door to door without targeting. They either hit every door in the neighborhood, or they do the bare minimum of targeting by focusing on all registered voters. Two things happen when you fail to use targeting when you door knock: you talk to a bunch of people who will never show up to the polls, and you spend too much time talking to people whose vote you can’t sway (either because they’re solidly behind you or decidedly against you). For the most part, political candidates should be focusing on voters they know are likely to show up on Election Day and whose vote is still up for grabs. The one exception is during your GOTV phase (Get Out The Vote). During the last 72 hours of a campaign, your door knocking efforts should focus on voter you know will support you…there’s no need to remind your opponent’s supporters to get out and vote. 2. They Don’t Collect Data: Every time a political candidate or campaign talks to a voter they should be collecting information. Has the voter made up their mind about who to support? How likely is the voter to change their preference? What issues does the voter care about? Too many campaigns waste the priceless opportunity to collect this information that door knocking affords. In the past, collecting data was a tedious job, requiring pen, paper and shorthand skills. Now, with new technologies like Mobile Voter, data collection is as simple as a mouse click or finger swipe. Political campaigns no longer have any excuses for failing to collect data while door knocking. 3. They Are Unprepared: One Saturday morning, I showed up to go door knocking for a political candidate in a special election. The campaign was completely unorganized, failing to have the maps and literature ready for volunteers at the time they told volunteers to arrive. That morning, 20 volunteers lost 45 minutes each on the doors because the campaign was not ready. That amounts to 900 minutes lost in a race that was decided by 300 votes. Those 900 minutes of total campaign time that was wasted could have been the difference. 4. They Fail To Follow Up With Voters: This failing stems directly out of #2 & #3. Often times, voters will ask a question, request a yard sign or give some other indication that they would like further contact from the political candidate or campaign. Good grassroots can vault political candidates to victory, but when you go to the trouble, make sure you do it effectively and efficiently.